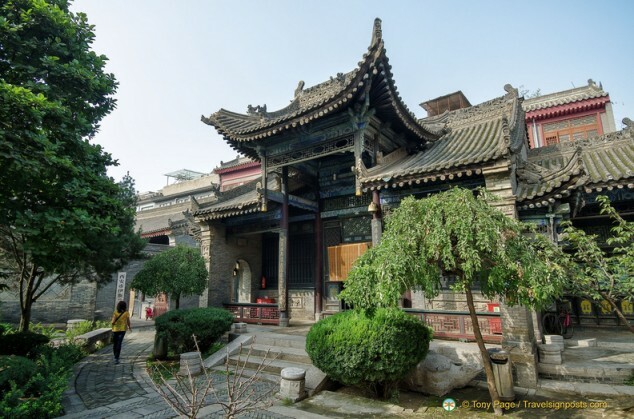 Located in the heart of the Xi’an’s bustling Muslim Quarter is the Great Mosque, one of the oldest and best-preserved Islamic mosques in China. 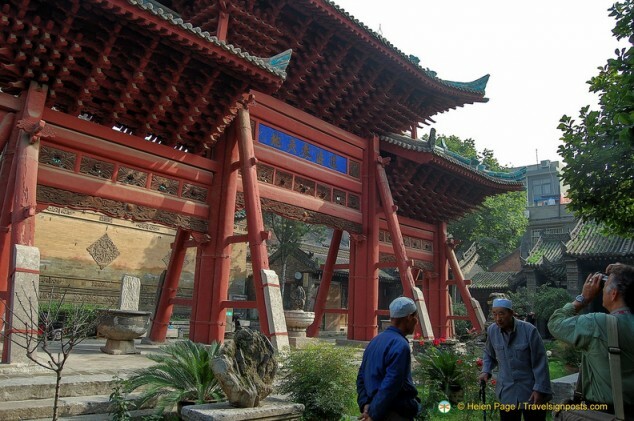 The mosque was first established in 742 AD, during the Tang Dynasty, and it is still a functioning mosque today. 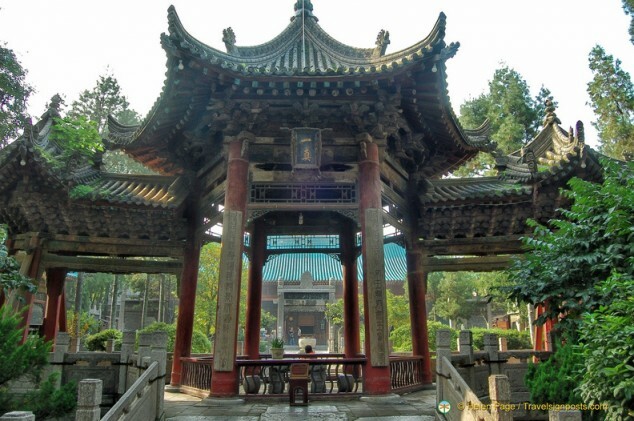 The Great Mosque is most unusual in that all the buildings in the complex are Chinese in its construction and architectural style and there are no domes or traditional minarets that we expect to see in a mosque building. However, the visual clues that this site is indeed an Islamic place of worship are the Arabic scripts and decorations on the halls and archways, and the men who come to pray here are clothed in Islamic-style tunics and hats. 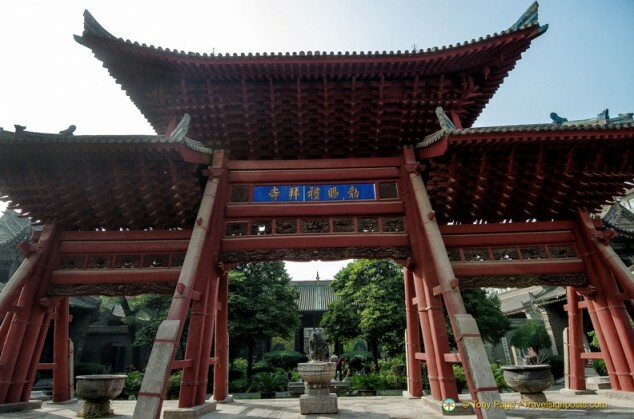 The Great Mosque of Xi’an is one of the largest mosques in China, occupying an area of over 13,000 square metres. When visiting Xi’an’s famous Muslim Snack Street in the Muslim Quarter, it is easy to make a detour to the Great Mosque. It is tucked away on Huajue Lane, just northwest of the Drum Tower. 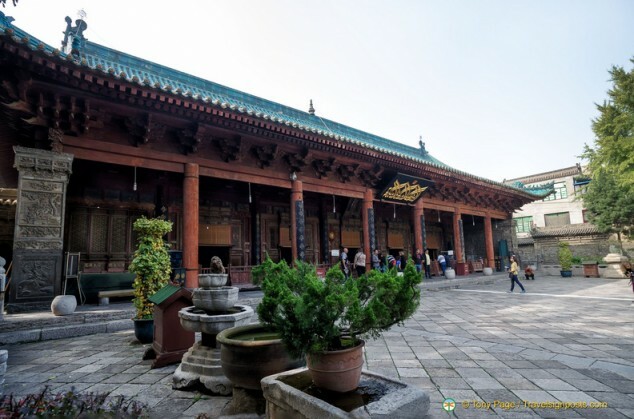 According to a stone tablet in the Great Mosque, it was built around 742 AD, during the Tang Dynasty and restored and enlarged during the subsequent Song, Yuan, Ming and Qing dynasties. 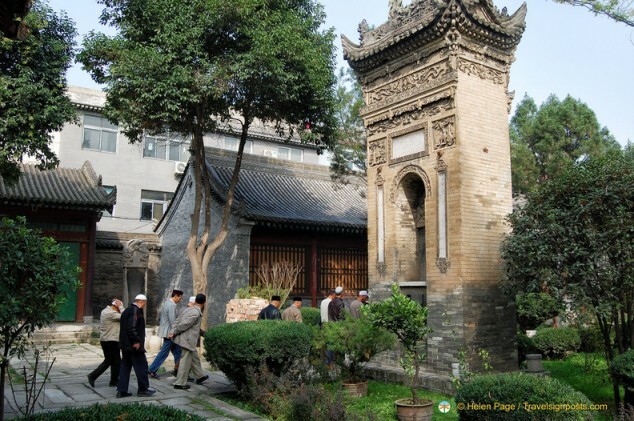 Under the Communist Party’s policy of preserving China’s minority races and culture, the mosque has been renovated to the complex that it is today. The Great Mosque gardens and buildings are nicely laid out in four courtyards within the rectangular-shaped complex. It is about 250 metres long and 47 metres wide. The main buildings and gateways are set in the central section of the rectangle, with a passageway along each side. Off the passageways there are a number of smaller halls containing historical and cultural relics from past Chinese dynasties. The entrance to the complex is at the eastern end of the rectangle where a large old wooden archway marks the entrance to the first courtyard. This archway was built at the beginning of the 17th century. In front of the archway is a brick screen wall with carvings. 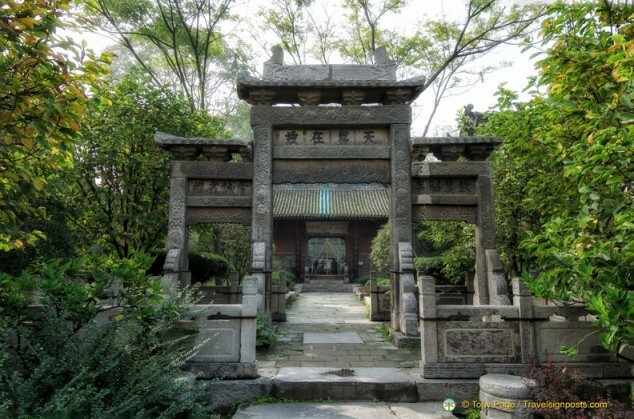 Through the Five-room Hall in the middle of the second courtyard there are three connected stone memorial gateways. On top of the main gate the inscriptions indicate that this is “The Court of the Heaven”. 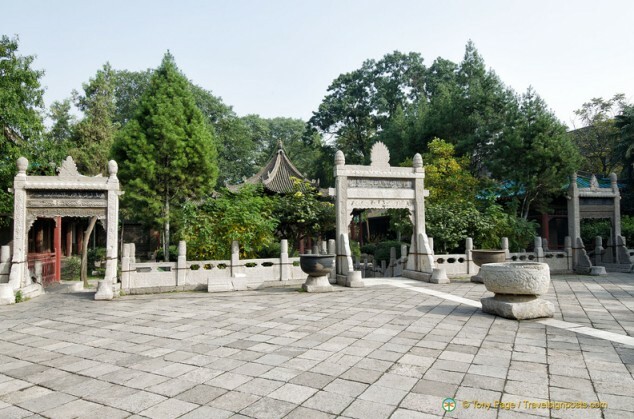 This stone complex was built in the Ming Dynasty. The Imperial Hall in the third courtyard is the oldest building in the Great Mosque. In the middle of this courtyard is the Introspection Tower which unfortunately is under repair. This tower serves as the minaret for the mosque, from which Muslims are called to pray. The three connected doorways with brick carvings leads to the last courtyard. Beyond this doorway is The Phoenix Pavilion. This is so named because the central hexagonal pavilion looks like the head of the phoenix and the two side buildings look like its spreading wings. The final and most important building at the western end of the rectangle is the magnificent Worship Hall with its blue-glazed roof tiles. Its ceilings are carved with over 600 classical scriptures. As non-Muslims we were not allowed in the Worship Hall. It would have been very interesting to see some of the 600 pieces of huge wooden boards on which are carved all the pages of the Holy Koran. 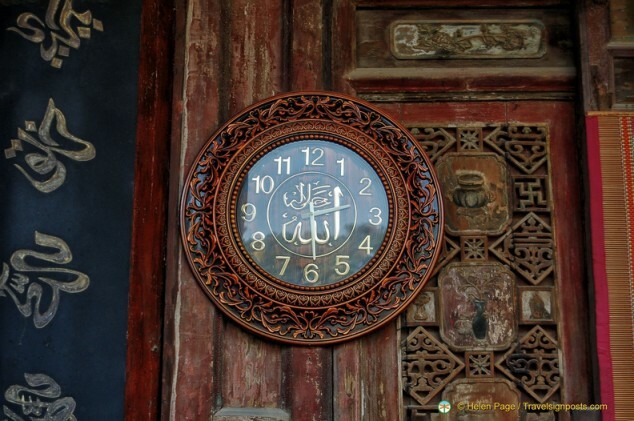 However, even on the outside wall of this Hall there are plenty to admire, such as the clock with its beautiful carvings and Arabic scripts. The Great Mosque is well worth visiting as it gives us an appreciation about the Muslims in Xi’an and China’s Islamic heritage. Although we didn’t have time to look into the side buildings or examine its historical contents, we nevertheless enjoyed the stroll through the landscaped gardens and the tranquil atmosphere of the mosque in comparison with the bustling markets that surround it. You can see more Xi’an Great Mosque photos Here. 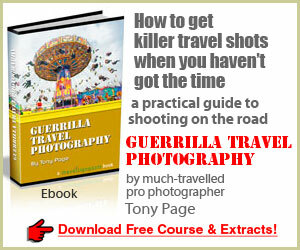 Helen Page is a prolific blogger and ardent traveller; she runs Travelsignposts China with her professional writer and photographer husband Tony.